WestonWeb.ca – Page 388 – News is what somebody somewhere wants to suppress; all the rest is advertising. The Learning Enrichment Foundation is in the running for a big grant from the Aviva Community Fund. If you vote for their project,they stand a chance of winning the money they need to start an indoor farmers’ market in Mount Dennis. The primary campus of the LEF is off Black Creek Drive. They offer job training, language education, newcomers’ services, and other programs for adults and youth, in a big, attractive building in an odd, industrial part of town. On Thursdays, LEF has a market that sells fresh local food to a small number of customers. They’d like to grow the market by providing a dedicated staff member, children’s activities, and support and education for the vendors. You can vote for the market here. The debate will be tomorrow night, October 4, at 8 pm on channels 10 and 63. Your humble reporter doesn’t have cable; would someone let me know whether Lan Daniel bothered to show up? Over 60 people attended last night’s showing of Jeff Winch’s documentary ‘Bending The Rails’, which is about the plan to operate 140 diesel trains daily along the line that runs through the middle of Weston. Jeff’s documentary style is reminiscent of Michael Moore. In addition the inclusion of his daughter, Nellie, is used to highlight the vulnerability of people living along the rail corridor who will be affected by the increase in noise and air pollution. A picture emerges of an organized political effort to minimize these effects along with a stubborn refusal to consider electrification of the line anytime soon, even though electrification would be cheaper in the long run, allow faster transportation times, quieter and far less polluting. The driving force behind the line seems to be the 2015 Pan Am games. Even though the games will only last for two weeks, the airport link will be with us for a long time. Afterwards, Jeff and York South-Weston MP Mike Sullivan (who once headed up the Clean Train Coalition) answered questions about the topic of the movie. Also present was Paul Ferreira, NDP candidate in Thursday’s Provincial Election. Mike Sullivan (L) and Jeff Winch answer audience questions. Just a quick reminder that the movie ‘Bending The Rails’ will be screened tonight at Weston Park Baptist Church (1871 Weston Road). The movie covers the proposal to run diesel trains between Union Station and Pearson Airport. There is no charge for admission and in addition, the maker of this documentary, Jeff Winch and MP Mike Sullivan will be there to answer questions. A poll commissioned by the Ontario Federation of Labour has found that Paul Ferreira is in the lead in York South–Weston. A prior and smaller poll by the Toronto Star had put Albanese in the lead. The newer poll, while done by a group that would favour the NDP, was meant to replicate the poll done last weekend by the Star, but do so with more detail. The Star sampled only about 400 people per riding, giving a wide margin of error. The OFL wanted more detail in ridings that were likely to be close races. They commissioned the same polling company and asked roughly twice as many people in each of the contended ridings. According the OFL, the NDP has an 8 point lead on the Liberals; 44% of respondents said they would vote for Paul Ferreira. In the Star’s poll, the results were reversed: 43% said they would vote for Albanese. Inexplicably, 15% of people still reported that they would vote for Lan Daniel, the missing Conservative candidate. Daniel has not attended any debates, does not return phone calls or emails, and does not actually seem to be campaigning. 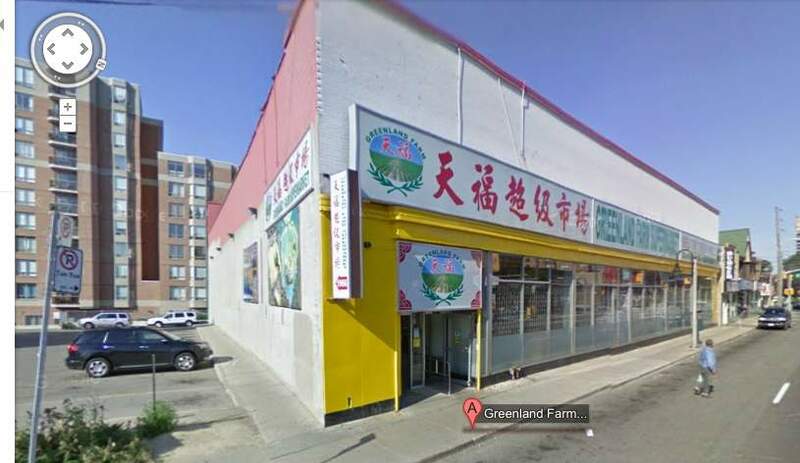 Greenland Farms Asian market on Weston Rd failed another health inspection—it’s second failure in four months. This time, the grocery store got a yellow card for failing to protect food from contamination and for failing to ensure that the employees washed their hands. In June, the popular store got a yellow card for failing to protect food from contamination, failing to wash equipment, failing to provide towels, failing to provide pallets, and failing to ensure containers wouldn’t be contaminated. So, your humble correspondent supposes that this is progress. Follow up inspections, which are not surprises, were passed.